Hooray another amazing blog to follow. 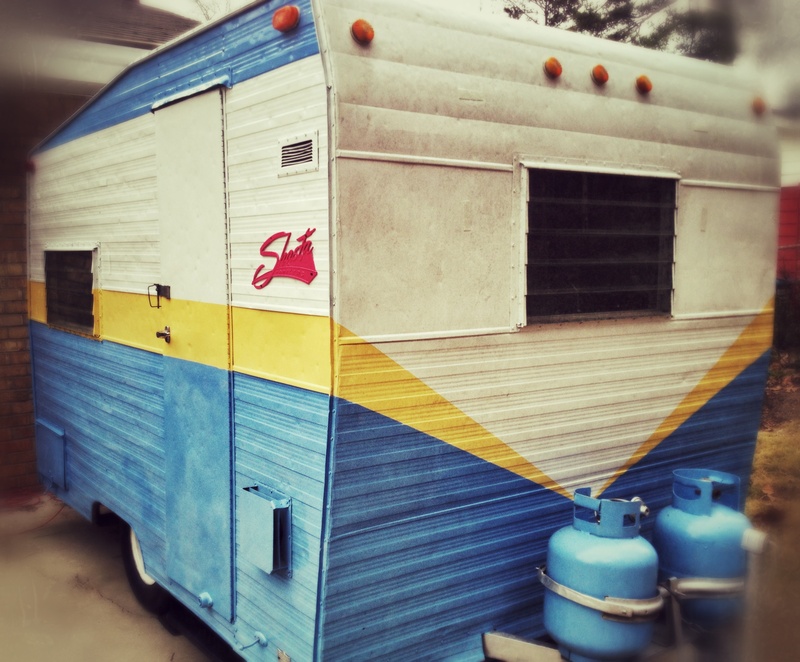 I can’t wait to hear about Josh and his family’s Grand Adventures in their 1969 Shasta. Thanks to al13airstream.com for helping me discover this little gem. I have always dreamed of purchasing an Airstream travel trailer, throwing caution (read: my job) to the wind, and cruising the winding roads of America with no clear destination in mind and no end-date in sight. Reality check: I have been married for a decade, I have a three-year-old son, I own a business, I run a non-profit, and I have a fat mortgage. I am pretty certain I am disqualified for this sort of adventure. Right? Lifestyle limitations aside, my family has only one car (a 2003 Honda Element with 200,000 miles) that lacks the giddy-up to drag a traditional travel trailer around the country.